With the initiative of National Curriculum Department, a work meeting was arranged on the topic of parents’ involvement in school life. 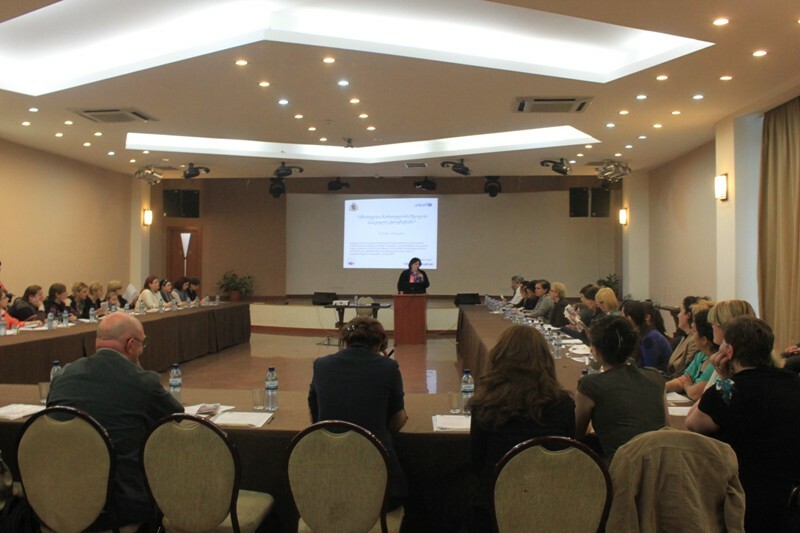 The event was organized within the framework of the project “Comparative Analysis of National Curriculum of Georgia and National Curricula of Other Countries” . With the aim of discussing perspectives for European cooperation a work meeting was organized with Georgian school principals and teachers at Teachers’ Professional Development Center. 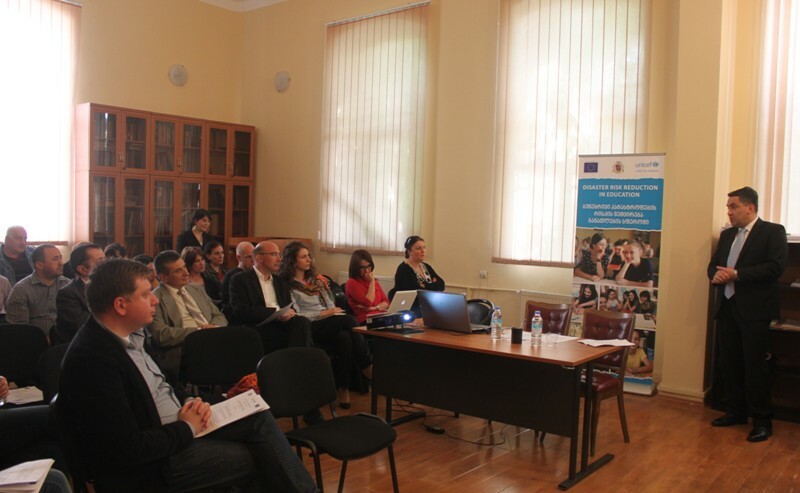 E-learning experts made a presentation of the project “eLearning Perspectives in Vocational Education” with the support of the Ministry of Education and Science of Georgia and International Organization GIZ. Today Minister of Education and Science of Georgia Giorgi Margvelashvili visited 198 Public School. Minister attended teaching process and an exhibition of handmade Easter items and accessories made by the pupils. Giorgi Margvelashvili received detailed information on the needs of the school from the principal. Head of Administration of the Ministry of Education and Science of Georgia Levan Keburia clarified certain procedures regarding the registration of first graders and extern exams. 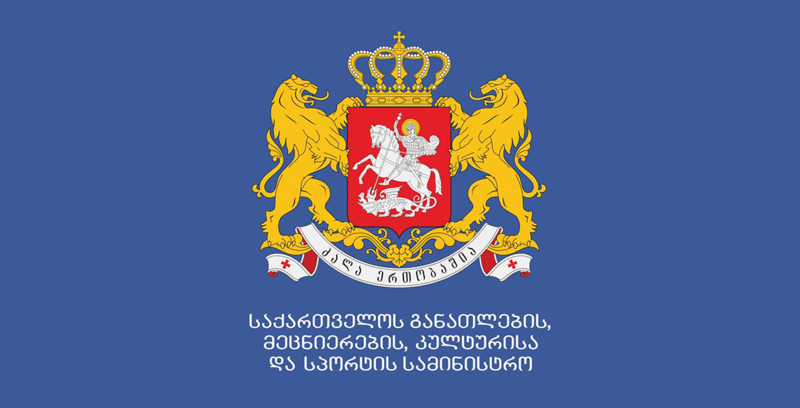 Memorandum of Understanding was signed between the Ministry of Education and Science of Georgia and the Ministry of Corrections and Legal Assistance of Georgia. The agreement on implementation of joint programs aimed at ensuring rehabilitation and social integration of convicts was signed by Giorgi Margvelashvili and Sozar Subari. Today, winners of VII International Young Inventors Project Olympiad were awarded at the Ministry of Education and Science of Georgia. The Olympiad was organized by “Chaghlar” Educational Institutions, 272 pupils from 27 countries participated in the Olympiad with 125 projects. Today Head of Administration of the Ministry of Education and Science of Georgia Levan Keburia and Head of Georgian Table Tennis Federation Kakhaber Gugushvili signed a memorandum of cooperation at 176 Public school. Today, Minister of Education and Science of Georgia Giorgi Margvelashvili met with 30 winners of VII International Young Inventors Project Olympiad. The winners represented 27 countries. Minister congratulated the winners – VII-VII graders, gifted with inventing and creative talents and wished them all the success. Project group of HMC (Headmasters’ and Headmistresses’ Conference) held the first selection contest. 10 winner pupils and one teacher will travel to the UK in May, 2013 to pass one-year course in a British school. Today, Head of Administration of the Ministry of Education and Science Levan Keburia awarded the candidates with Certificates. Within the framework of Civic Education and Teacher Training Program, online conference was held at Multimedia Education Center. The topic of the conference concerned pupils’ civic participation and role of the youth in the process of formation of a democratic state. Please see the list of applicants eligible for the third stage of the job contest for the vacant position of Head of resource Center in the attached file. 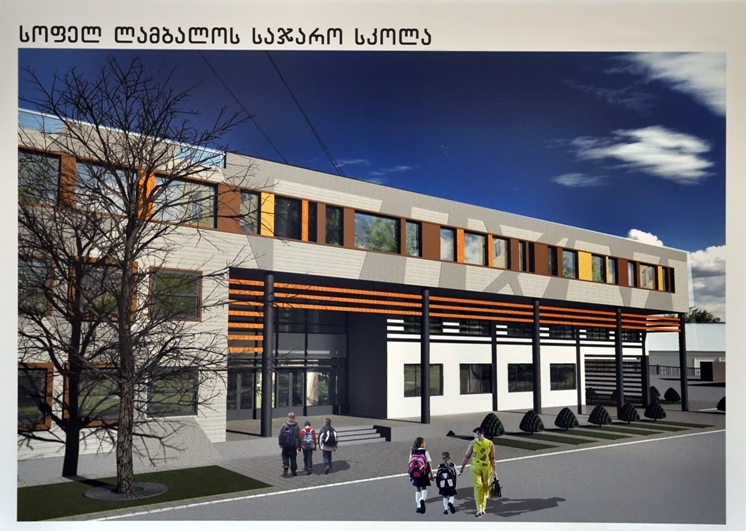 A new physiological center started to operate with the initiative of the Ministry of Education and Science of Georgia and based in the Office of Resource Officers of Educational Institutions. Today, Minister Giorgi Margvelashvili introduced the project to the journalists. After appealing the results of the job contest by 47 contestants, the conditions of 19 of them have changed. The results were changed for the similar kind of appeals. According to the updated information, 29 applicants are to be interviewed. Aluda Goglichirdze, Deputy Minister of Education and Science of Georgia, Philip Dimitrov, Head of EU Delegation to Georgia, Canan Atilgan, Director of Konrad Adenauer Foundation South Caucasus, representatives from the Ministries of Education of Armenia and Azerbaijan summarized the outcomes of “Democracy Starts with You!”, the project worth of 1,8 million Euro. Today, The Minister of Education and Science of Georgia, Giorgi Margvelashvili, and Under Secretary for Public Diplomacy and Public Affairs, Tara D. Sonenshine, signed Memorandum of Cooperation. Before signing the memorandum, Tara Sonenshine and US Ambassador to Georgia, Richard Norland held a meeting with the Minister and discussed future plans. Giorgi Margvelashvili, Minister of Education and Science of Georgia and Kareli Majoritarian MP Leri Khabalovi held a meeting with the pupils and teachers of Kareli Public School 2 regarding free textbooks and got familiar with the conditions in the school. 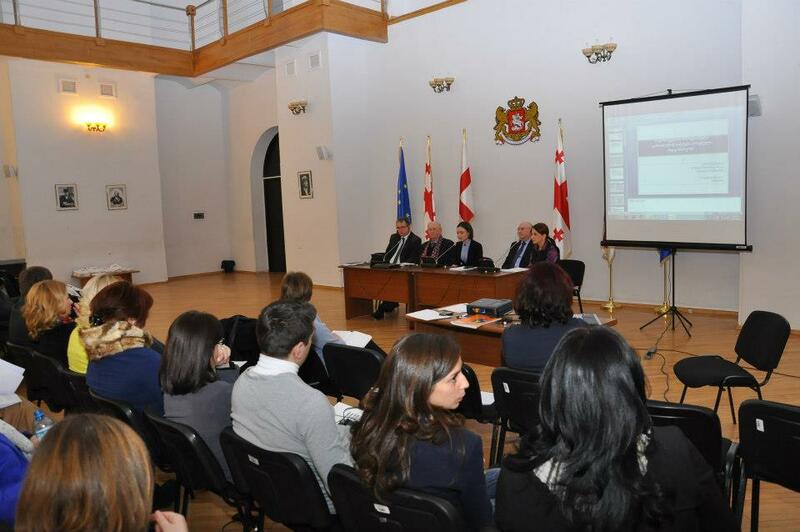 Program on Teaching Georgian as a foreign language is being developed at the Ministry of Education and Science of Georgia. This will be an innovative program with its content for the language education system. Within the framework of the project “Georgian Government for Open Governance”, Giorgi Margvelashvili, Minister of Education and Science of Georgia,” held a meeting with journalists and answered their questions. Giorgi Margvelashvili, Minister of Education and Science of Georgia and Rustavi Majoritarian MP Zviad Dzidziguri visited public school 21 in Rustavi and held a meeting with parents and pupils regarding school textbooks. 2084 public schools and 650 thousand pupils shall receive school textbooks free of charge for the school year 2013-2014. Today, Minister Giorgi Margvelashvili announced the news regarding free textbooks at Public School 145 while meeting with the pupils of this school. Seminars will be held for sports teachers of public schools in several cities of Georgia. Knowledge gained at the seminars will help the teachers to teach volleyball using easier rules. The seminars will be conducted by Prof. František Táborský, international expert in volleyball from University of Prague. Giorgi Margvelashvili, Minister of Education and Science of Georgia visited Pasanauri Public School and handed computers to the school as a present. The Minister met with pupils and teachers, informed them on ongoing novelties and future plans, and expressed his interest in school condition and existing problems in the school. As Tamar Kintsurashvili, Head of Inter-Agency Commission for Free and Fair Elections stated, United National Movement provided the Commission with the information on impediments they have experienced in the process of formation of district commissions during the by-elections in Nadzaladevi district. The Ministry of Education and Science of Georgia defined 60 points as minimum competency level for the vacancy of Head of Educational Resource Center announced by the Ministry. 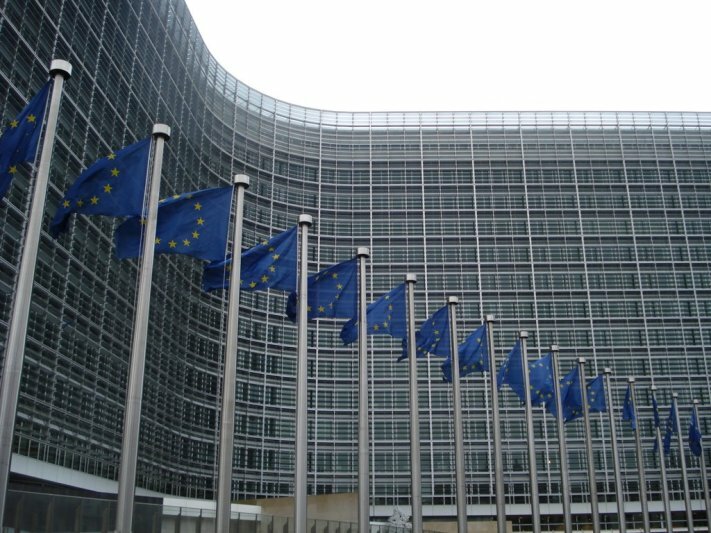 Language Policy Unit of Council of Europe represents a Unit implementing various activities to encourage multilingual education in European Educational Space. Language Policy Unit has conducted comparative analysis of primary level national curricula of member states in 2012-2013. 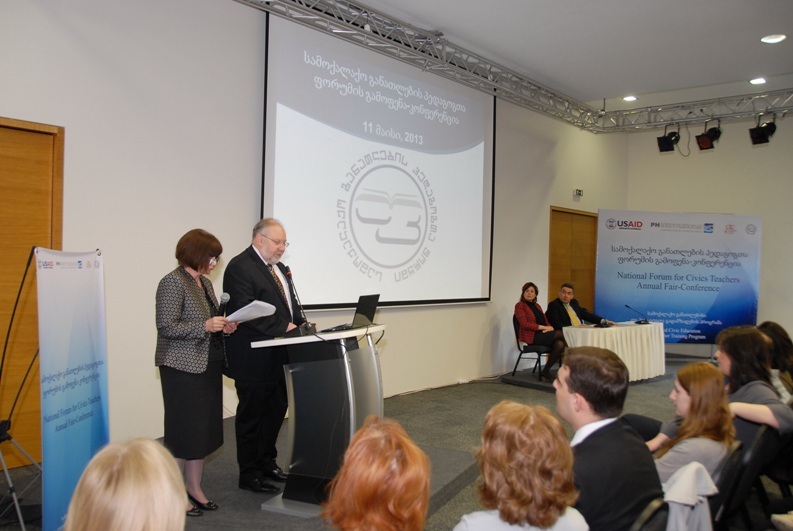 For the year 2013-2016 and 3 standardized instruments of identifying educational needs was held at the Ministry of Education and Science of Georgia. Discussion of new Draft Strategy and Action Plan on Vocational Education is under way at the Ministry of Education and Science of Georgia. Working meeting with representatives of up to 30 higher educational institutions was held today. 20 public schools were affected by natural disaster throughout Georgia. In most cases, the roofs of the schools were partially or wholly destroyed by strong wind and windows were broken. 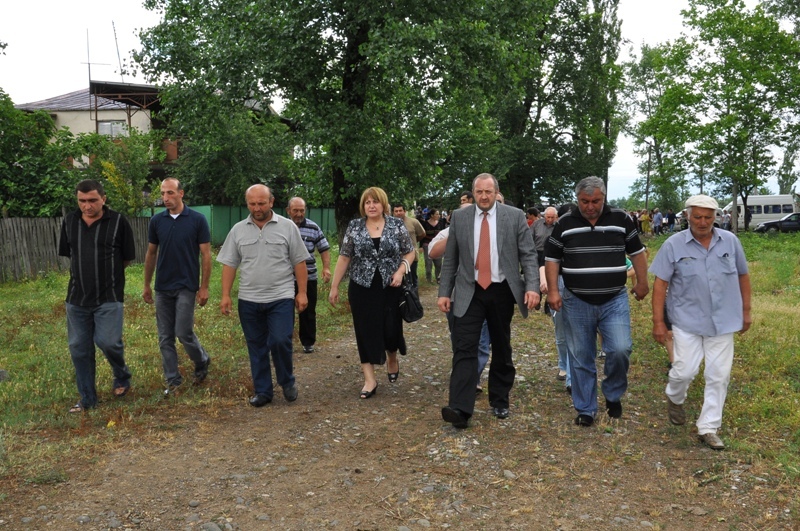 This morning, Minister of Education and Science of Georgia, Giorgi Margvelashvili, visited #1 Public School in village Mukhrani and gathered information about the damages caused by the wind. 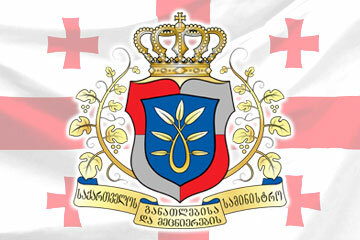 The Ministry of Education and Science of Georgia announces beginning of registration of first graders for the year 2013-2014 from April 1, 2013. Parents are able to take their children to school from the age of 5 in case if a child reaches the age by September 15. New textbook “Georgian Language for children of preschool level belonging to ethnic minority groups” was published for ethnic minority kindergartens. The publication includes a workbook and an album together with methodological textbook for kindergarten teachers with supplementary audio material. Today, Minister of Education and Science of Georgia Giorgi Margvelashvili met with students and professors of Iakob Gogebashvili Telavi State University. The Minister of Education and Science of Georgia Giorgi Margvelashivli held a meeting with the ambassadors accredited in Georgia, representatives of diplomatic corps and non-governmental organizations. The meeting was arranged with the initiative of the Minister. Second phase of the contest announced by The Ministry of Education and Science of Georgia for the position of Head of Resource Center begins. First phase of the contest announced by The Ministry of Education and Science of Georgia for the position of Head of Resource Center is over. 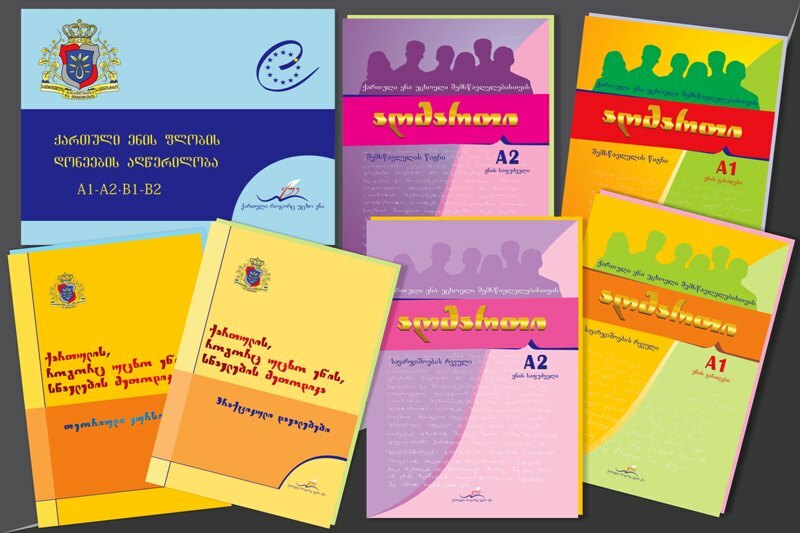 National Curriculum Department of the Ministry of Education and Science of Georgia made a presentation on new maths handbooks for I and II grades. 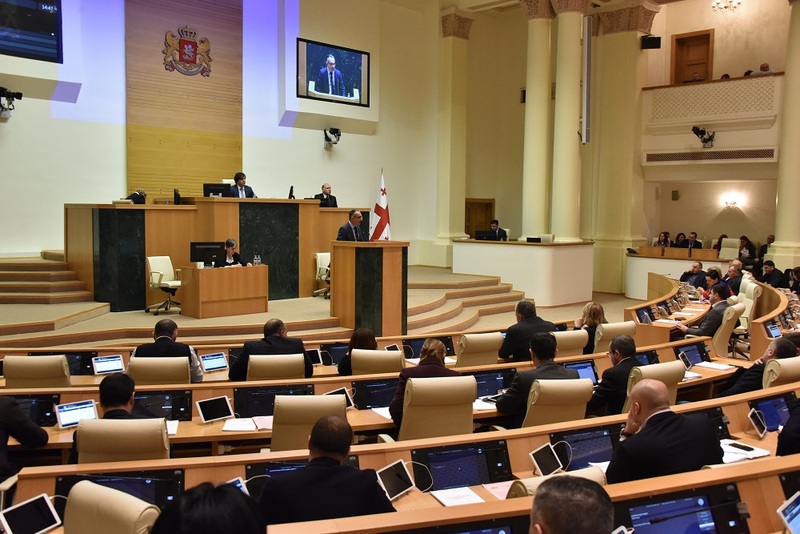 School district, a new unit will be set up with the initiative of the Ministry of Education and Science of Georgia. School district will unite several schools. According to the new model, a new self governing unit will be included in decentralized management of schools. 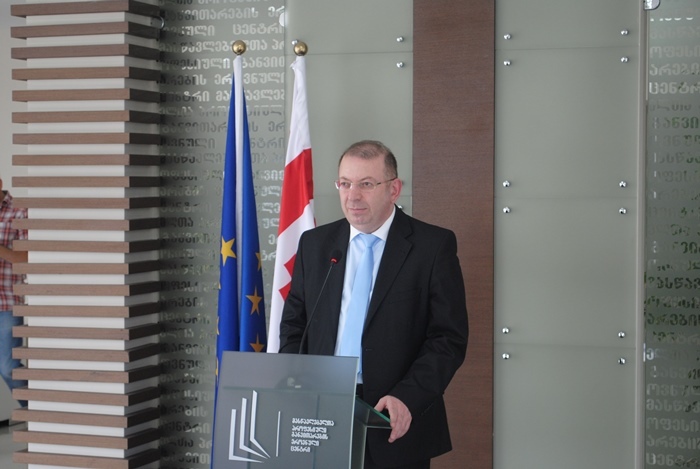 Today, Minister Giorgi Margvelashvili introduced the new model to the journalists. Second enlarged meeting held for the introduction of new draft strategy and action plan on vocational education was held at the Ministry of Education and Science of Georgia. Minister of Education and Science of Georgia Giorgi Margvelashvili and First Deputy Minister Tamar Sanikidze met with teachers of Dusheti Public School 2 and introduced the changes in reimbursement rules that have entered into force since the beginning of the year 2013. 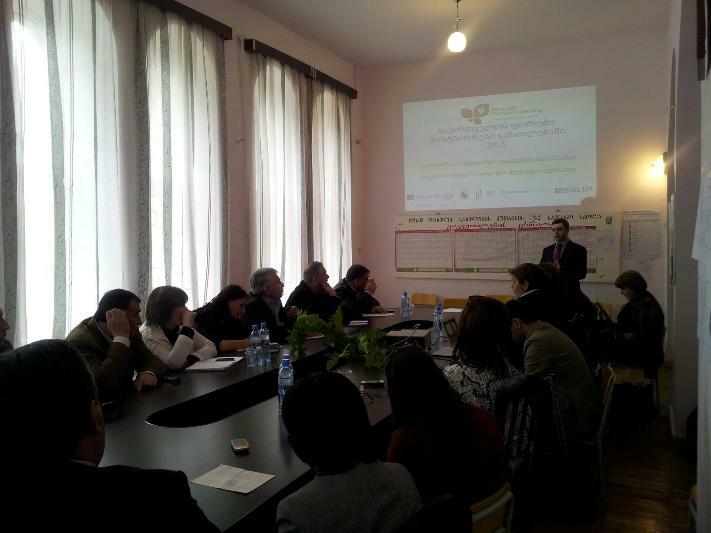 Deputy Minister of Education and Science of Georgia Aluda Goglichidze held a work meeting in Ozurgeti with principals of public schools, teachers, staff of Resource Centers and parents. 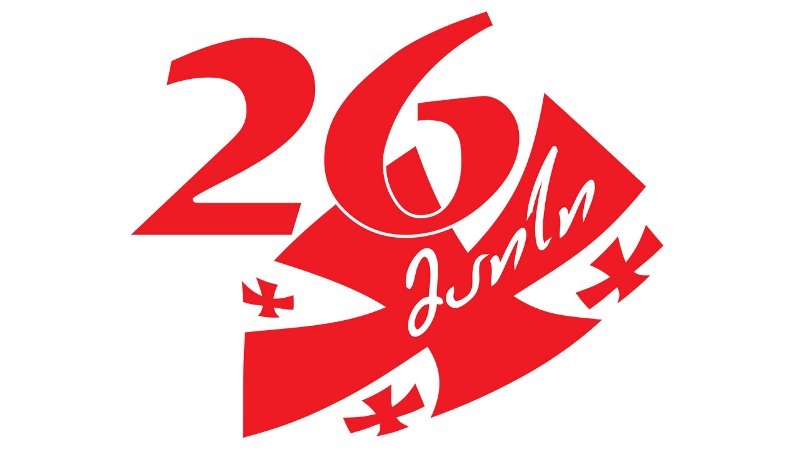 The Ministry of Education and Science of Georgia congratulates women with March 8 - Women’s Day and wishes all the success to all women and especially teachers. The Special Committee reviewing cases of persons dismissed for political reasons from Resource Centers and public schools, proved the fact of dismissal of three teachers for political reasons. All of them were restored on their respective positions. Deputy Minister of Education and Science of Georgia Ketevan Natriashvili and Jorg Oelschlager, Director of GIZ Private Sector Development Programme opened a wine laboratory in Kachreti Vocational College.